» What Are Satellite Speakers? Detailed Guide For Sound Lovers! Experiencing the decent-quality sound is like a dream for every home theater enthusiast since sound serves an essential role in achieving a great entertainment experience. If it can’t be set properly for acquiring this objective, then you can’t get a good quality home theater sound. However, saying this does not mean that you need to own the most expensive satellite speakers. Instead of doing that, why don’t you try opting for the most suitable satellite speaker fitting your budget and room environment? But what are satellite speakers? Let’s take a quick look at it! Satellite speaker is often used as a component of ‘2.1’ subwoofer systems, but it tends to be tinier as compared to other typical stereo speakers. That’s because they need to be styled this way to hand off its low-bass sound to another bigger subwoofer, enabling the tinier satellites to become more flexible when being placed, together with a big woofer hidden from your sight. You can say that most of the subwoofers in such systems get powered, which creates the whole sound adjustment much easier than ever. In so many times, a satellite subwoofer can actually “blow your door off” the old-style big floor speakers. Besides, if you love to have a cool home theater system at home and it must be wireless so that there’s no need to deal with any cord management, just search the wireless speakers. They can be placed behind a couch and travel with you without asking you to cut into the wall and tapping the speakers to the wall. So, after a few times researching and looking around, you thought that a satellite speaker means wireless ones – well, it’s still wired. The only difference here is that they can link to the wireless subwoofer you can put anywhere in your room. And going along with a sound bar, these speakers will get together to give you over 100 dB of your room-filling audio. Well, it’s unnecessary to suffer that terrible sound if you love to get a satellite speaker. By simply understanding a few important points, you will get some cool sounding satellite speakers with the badass dynamics and quality offering the huge range, look, and flexibility. What’re Benefits of Satellite Speakers? It’s quite the answer to the question “how does satellite speaker work?” The big attraction of all of these speakers just lie in one fact – they’re extremely family-friendly. Different from some towers, satellite speakers can be mounted on the wall or ceiling. And if you choose carefully, they make a huge improvement on your television speakers or those of your laptop. And the power a satellite speaker has is found in its flexibility and the ability to boost the sound quality. It also compromises to work quite well for producing immersive surround sound from small to medium-sized rooms, usually in 2.1 arrangement. However, do not let yourself be stuck in a restricted thinking as it comes to those satellite speakers. 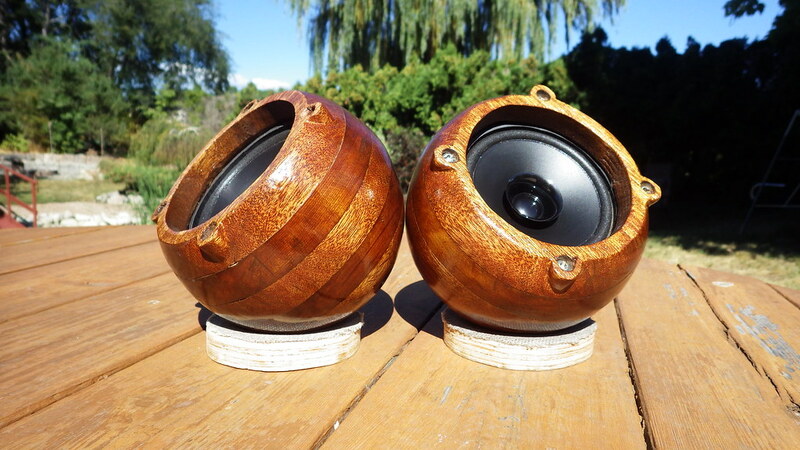 Use them as a rear surround sound speaker in a bigger system with bookshelf speakers that are the mains. Satellite speakers can play a good part of your desktop system and go well with your turntables or gaming consoles. As for the sound quality of these mini speakers, they’re equipped with subwoofers to deal with the bass, while you might hear that tower speakers make a better way to achieve a fuller sound without needing any subwoofer. At this point, it’s up to what you’re seeking in terms of sound and your preferences. Do We Need a Subwoofer for Satellite Speakers? And bear in mind that there’s a great number of bookshelf speakers that do not need a subwoofer, so it’s not that necessary. But if you still want more low-frequency punch that a good subwoofer can offer, it would be an amazing idea. Satellite speakers won’t have a sufficient dynamic range to be seen as the full-range speakers, but they offer a highly satisfactory listening experience based on the way you will use them. Well, they would sound the best when getting assisted by one powered subwoofer. Its extra bass enables your satellite speakers to focus on both mid and high-range frequencies. Once paired up with one subwoofer, satellite speakers is surely one of the best parts of such a cheap and room-friendly music system. But what if you can’t afford to buy a subwoofer, just consider changing to the full-range speakers. What to Expect from Your Satellite Speakers? As we said above, the key will lie in how you opt for carefully. And to begin with, though the weight is not just everything, owning a lightweight satellite speaker covered with the plastic cabinet will surely not make a brilliant immersive sounding experience. It’s because some of them should really feel heavier than they appear physically. The speakers need to launch a full and balanced sound with the emotional dynamics that could make everyone trust that the sound is indeed arising from a larger speaker. Though the speaker’s neutrality can’t allow them to smoothly mix with other speakers, it appears extremely compact in design and really appeals to the eyes. But we can’t blame these satellite speakers because their size is the key element that avoids them from releasing amazingly deep bass. It’s truly essential to hear a dynamic and mid-range, where 80% of high frequencies will tell you to know that it was made with a high-performance tweeter. To achieve great efficiency, satellite speakers won’t release bass signals, which go redirected to the subwoofer. As your receiver that is strengthening your speakers can’t be configured correctly, like you set crossover points too low, it possibly leads some damage to your beloved speakers. In several situations, one home theater receiver has microphone adjustment so that it can spot and send the suitable signals to the right speakers. Last but not least, today’s technology has become better and better – models are unexpectedly upgraded so they can bring us more awesome value for money for previous variants. Even a few of them are equipped with a hidden camera as a tricky security solution for watching over your house. However, awesome technology would arrive with a heavier price tag; therefore, it’s best to stop and consider a few times before you decide to make a purchase. Not just have the eyes on the appropriate satellite speakers, but you also have to think about their price. If you desperately crave for the badass sound experience, then get yourself prepared to spend a big buck. So, what are satellite speakers? 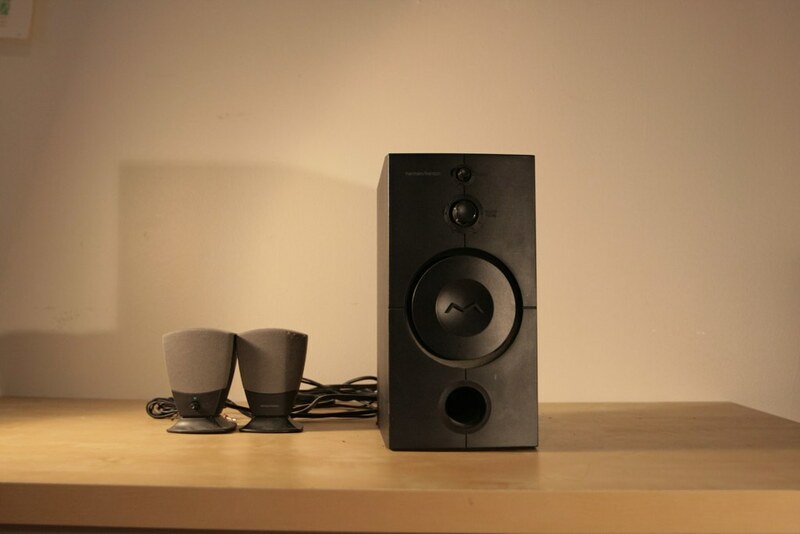 They’re the small versions of the towers and often require a subwoofer to gain a full sound. They are styled with the aesthetic purposes at first, meeting every requirement of a near sound system. If you want to have a decent home theater sound, the best solution is to invest in a pair of floor standing speakers and then purchase these satellite speakers to take the sound to the whole next level. Previous Post What Does Clipping Sound Like? Next Post What Is Full Range Speaker? I’m trying to decide what sort of audio system to get for my home theater project, and I appreciate your help in understanding this type of speaker. It sounds like a good option to look into, as you mention it makes sound adjustment easier. Avoiding cords is also a major plus, for sure, and would definitely make my system feel a lot more professional and less cluttered.